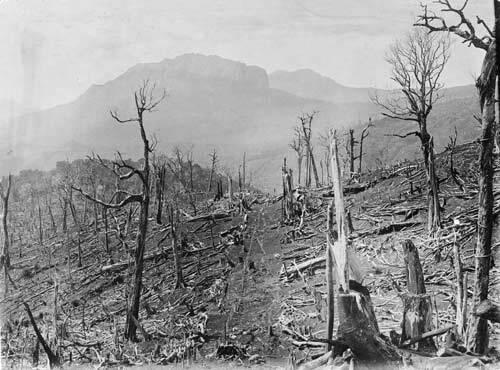 This is the littered landscape after an initial burn at Rip Station, Tapuwaeroa Valley, in the 1890s. The dried understorey has burned away, leaving felled logs and standing trees. The station owner would then have spread grass seed on the ash. It would take many fires over many years to clear the debris.